Ashwini M. Deshpande, LPT, is a licensed physical therapist in the state of New Jersey. Ashwini graduated from the Government Medical College in India with a bachelors degree in Physiotherapy. She then came to the United States on a scholarship and graduated with a master's degree in Physical Therapy from Texas Women's University in Houston, Texas. Ashwini has diverse experience with both in and out patient populations ranging from neurological, cancer and orthopaedic conditions. She is a member of the American Physical Therapy Association. 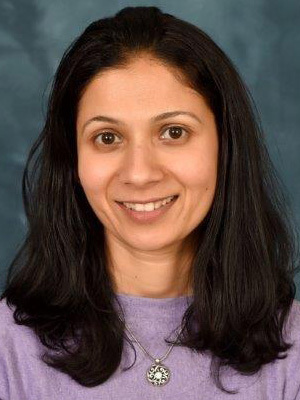 Ashwini's interests include kayaking, hiking, cooking and spending time with family.